I could never afford one! I made a point of not owning one. 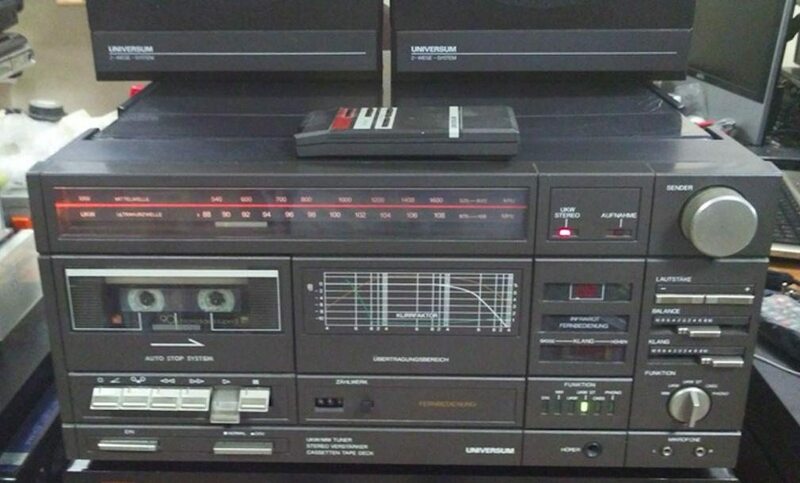 I bought mine secondhand in 1986 after responding to an ad in "HiFi Answers". A guy in London selling it for £300. My car wasn't up to the 500 mile round trip, so a friend drove me there in his VW Beetle for petrol cost, and I sold him my Mission deck for a good price. No mobile phones or internet then. When I got home that night, my missus told me another bloke phoned to say he had one for sale, and he lived at Lostock Hall, 3 miles down the road. When I started up the LP12, missus said "Wow, we have bass!" Kept that deck for 26 years with no mods, then got £500 as a p/x. I've enjoyed my LP12's, like the sound but it's the constant need for attention if you even look at them the wrong way. I also hate the Linn pricing ethos, I mean £50 for a drive belt amongst other things. 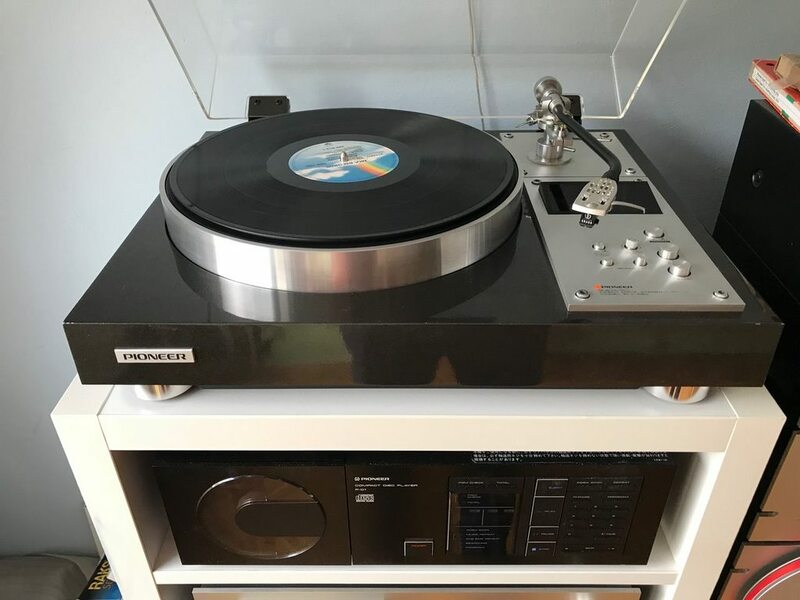 Also rather like the Techie 1200's you need to spend lots of pounds to make them great but unlike the Technics, to get a sorted one out of the box you've got to shell out £6000. They must be doing something right though to have been producing the LP12 for so long. I wasn't a big fan of the Linn upgrade doctrine, I found it to be very much 'buy this upgrade or your kit is basically rubbish'. My LP12 was fairly basic but sounded great on a good day and very lacklustre on an off day. I found Linn owners to be a really nice bunch of people though. I was very impressed with a mate's LP12 back in '91 so I probably would have got one then if I'd had the cutter. It's the old cliché I know but it really did 'Just play music.' Lots of great times spent listening to that, smoking premium grade hashish (he had some great connections) and drinking Tennant's Extra. 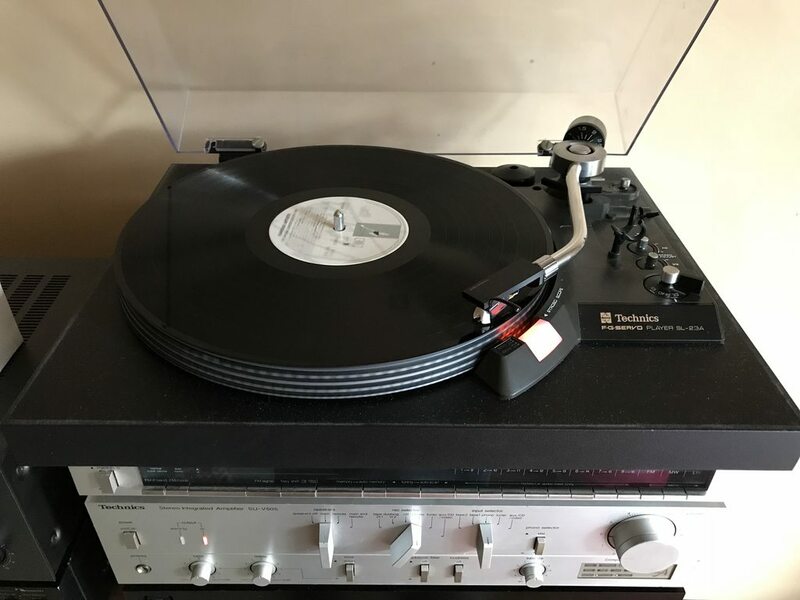 It's interesting to see that so many of us have owned an LP12 at some point. Not me - I never bought into any of that Linn 'myth'. That's not to say I didn't listen to one in my system. I did; I had the use of one for three months, allowing me to compare it with my own deck. Needless to say I heard no reason why I should have bought one. Off topic but thankyou Martin for nudging me toward my late night DVD, A Clockwork Orange. It was the mention of " cutter ", reminded me of the tramp asking Alex for money. I had e few. The first one since my youth I can't remember the model. It was a Russian one, a cabinet - radio, turntable and a space to store records. Many years after I had an Universum VTFC1339RC combo with separate speakers and awful sound. After another pause I have started looking again for a TT. 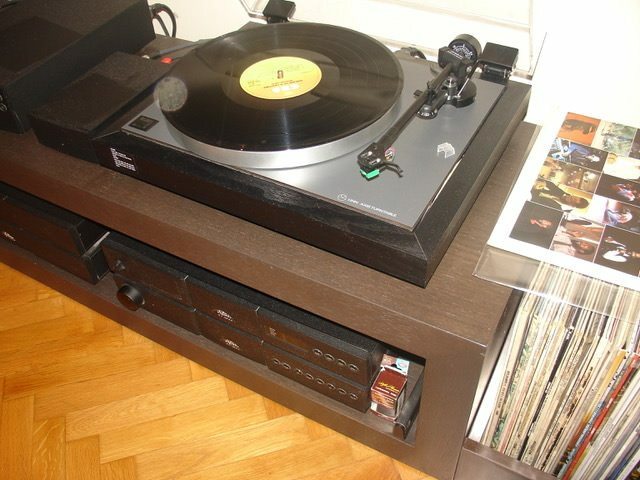 First came Technics SL23a, after that Linn Axis and last year a long desired Pioneer PLC-590. Still got the last two. The Technics looks rather useful and that Pioneer is a thing of beauty. I wish I'd had the money when Jamie sold his.